This is a simple and easy healthy raw food salad recipe. It’s colorful and packs a lot of iron and protein. To make it sweeter, add chopped apples and raisins. To add additional texture, consider garnishing this dish with your favorite chopped nuts. To give it a little more of a bite, add some diced purple onions. Rinse and strain lentils one more time and pour into a midsize bowl. In a small bowl or measuring cup mixed together vinegar oil, salt, honey and spices. Chop into small pieces carrots and celery. 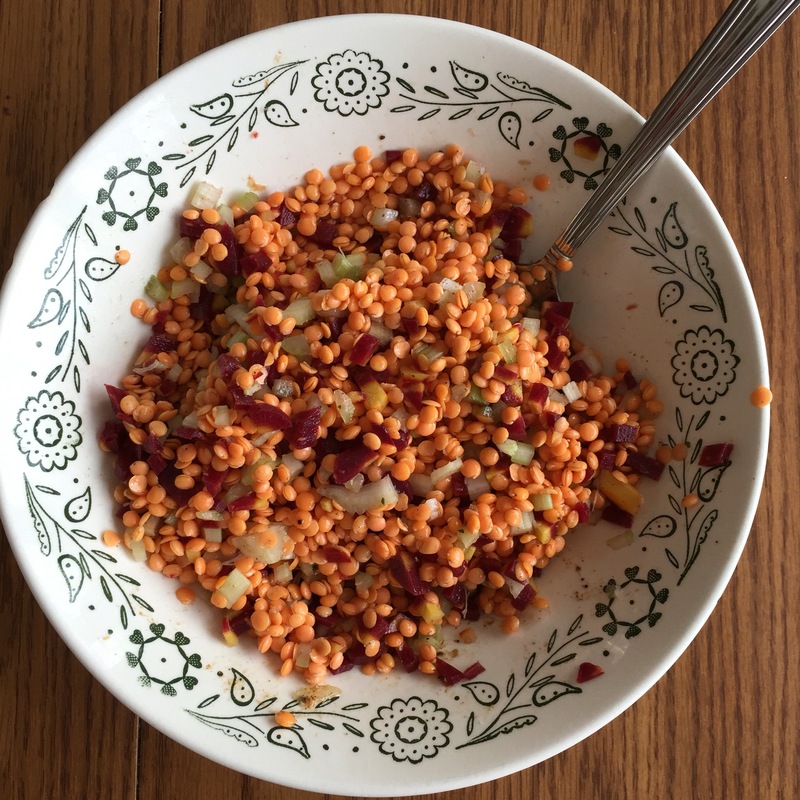 Add carrots and celery to lentil bowl. Poor the liquid mixture over top of the lentils, carrots and celery and stir until completely mixed. Put in the refrigerator to chill. Serve chilled.